Squibs And Crackers: I'm Going To Ski! I lived in Utah the first 23 years of my life. 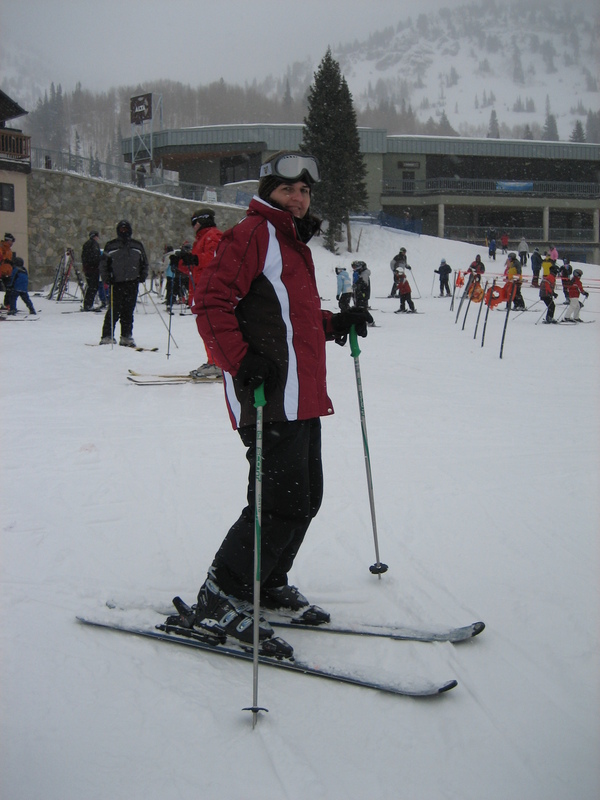 So, after returning to snow after 13 years I decided I was going to learn to ski. Yes, I was! 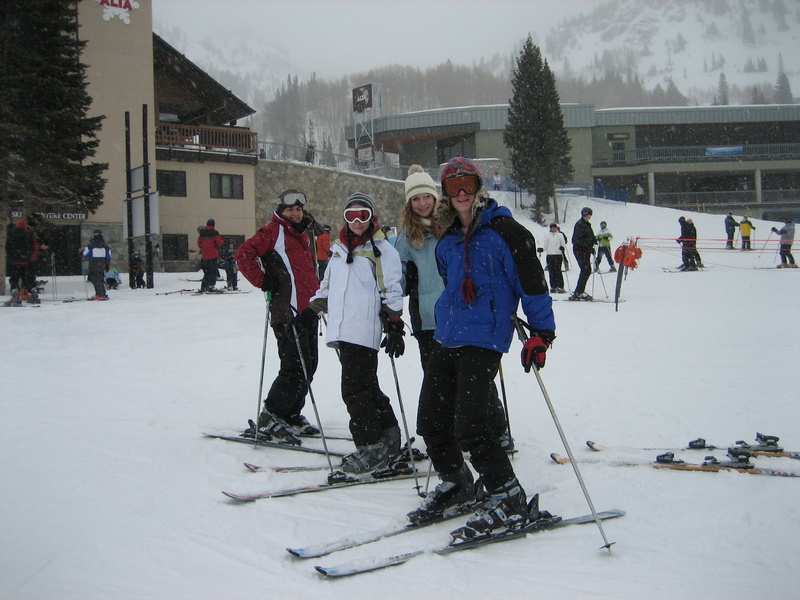 My man arranged a ski trip for us, Madison, Madison's friend Tori, and our nephew Jesse. It was going to be great. I had visions of John and I having many dates on the slopes. We would take trips into the mountains, swoop down the slopes together, and finish with a romantic dinner. It would be lovely. But here's the reality. I should never have left the bench! Ski clothing makes you look fat. And the hat crammed onto my fat head makes me look alarmingly like my little brother, Paul. Little did I know, I was about to make myself look much worse. 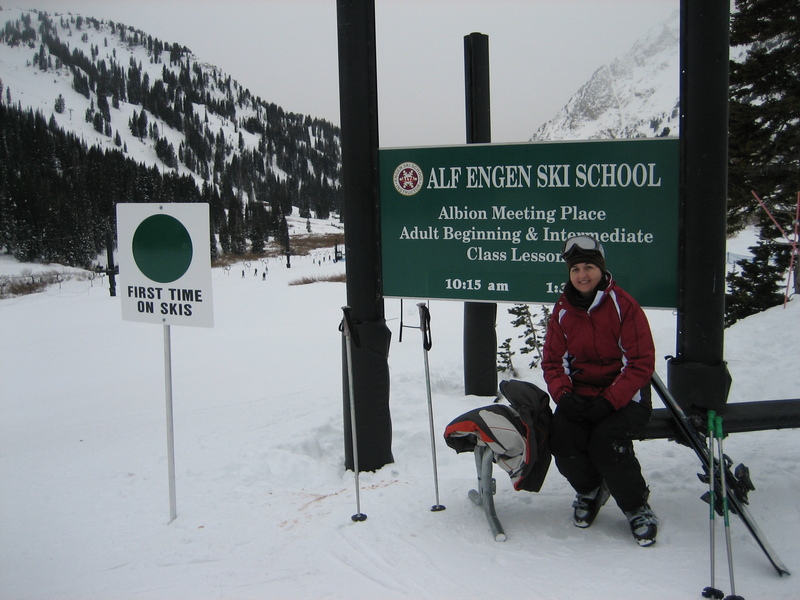 Because the 3 teenagers and I have never skied, we took a beginning class and John took an advanced class. The teenagers rocked the ski's. I fell the first time. And the second. And then every time I tried to move on ski's. Every. Time. No, really, it was that bad. Our instructor took pity on me and spent the last 15 minutes of class with one-on-one time with me. The last 10 minutes of class I actually went down the kiddy slope without falling. It was awesome! And then we went to lunch in an over-crowded and over-priced cafeteria. I knew as I ate my $8.00 burger that I was going to impress my man with my ski skills. We put our ski's back on and John and I started down the bunny slope together. It was so romantic. And then I fell. Hard! This time it hurt. 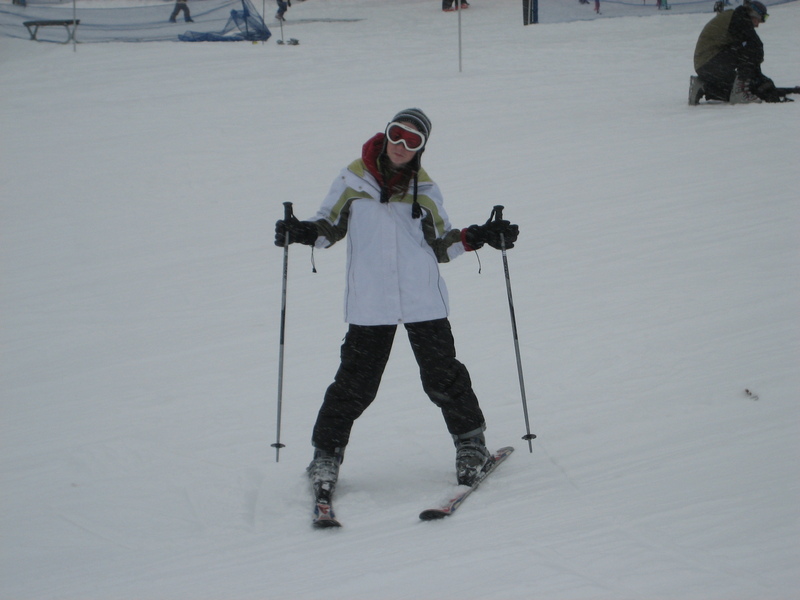 I was done with skiing. After 3 hours in the snow with most of that time falling over myself I lacked the motivation to continue. But I will go back. And take a private lesson. Here's a picture when I didn't have a face plant in the snow. Madison was a natural! I loved to watch her having so much fun! I'm glad she got her athletic ability from her Dad! Wait, so ski clothes make you look like a fat Paul or since they make you look fat, they make you look like Paul?